Huge Savings Item! Save 19% on the Creation Carriage Arm, Original by Ving at MDA-MA. MPN: SIC-18018. Hurry! Limited time offer. Offer valid only while supplies last. Creation Carriage Arm, Original New Carriage Arm - This is the new style of carriage arm, one unit with both the rod and the black piece attached. New Carriage Arm - This is the new style of carriage arm, one unit with both the rod and the black piece attached. 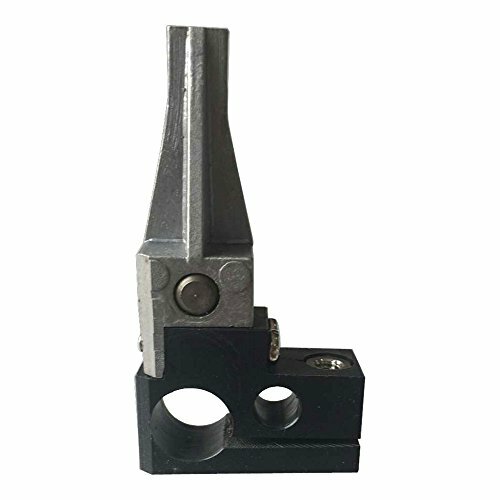 The carriage arm is made by One-step modeling technology; either excessive knife pressure or wrong installation of the base will result in damage of the arm holder. To be used with: PCUT CT630, CT900, CT1200, CT630H, CT900H, CT1200H.